People with bipolar depression symptoms have extreme ups and downs. If you’d like to know how to help someone with depression, it’s important to recognize the signs. For people with bipolar depression, moods may shift radically from week to week. Most people live their lives on a pretty even keel. Day-to-day, their temperament remains the same, although they may experience periods of happiness and sadness in response to life events. For people with bipolar depression, however, life is often a rollercoaster ride. Their moods may shift radically from week to week, and they don’t always know where to find help. During the high points, people with bipolar disorder may be almost euphorically happy and full of energy and activity, sleep little or not at all for days on end, engage in reckless behavior, have intense flashes of irritability, and have grandiose beliefs about themselves. They may also have racing, disorganized thoughts and speak almost too quickly to be understood. This is known as a manic episode. 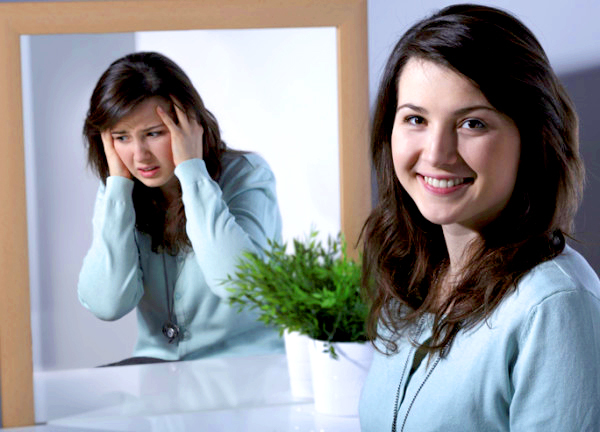 Sometimes people in a manic stage of bipolar depression hallucinate or have delusions. A person who is manic may, for instance, abandon her family because she believes she must immediately contact the government, as it is her job to save the world. A somewhat less intense form of mania is known as hypomania. Someone in a hypomanic state may feel great but probably lacks common sense. She might, for instance, stay up half the night cleaning the house because she feels full of energy and purpose and then spend the day shopping for shoes she can’t really afford. Often people in a hypomanic state can slip into mania. Manic and hypomanic episodes typically last from four or five days to a few weeks. Unfortunately, when mania and hypomania subside, the person often plunges into the deepest depths of a depressive episode. During “pure” episodes of depression, bipolar depression symptoms are hard to distinguish from the symptoms of major depression. 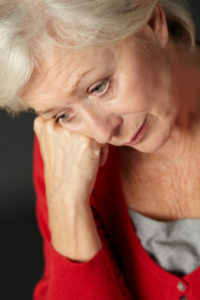 The person will often feel sad, tired, and/or withdrawn, and will have trouble concentrating, sleeping, and eating. He or she may experience thoughts of worthlessness, guilt, death, or suicide. Although mania is a defining feature of bipolar disorder, most individuals with bipolar disorder experience depression far more frequently and for much longer periods of time than they experience mania. For that reason, people with bipolar disorder are often initially misdiagnosed as having depression. In fact, research is finding that some people with major depression symptoms may actually have a “hidden” form of bipolar disorder. In a 2010 study that involved more than 9,200 people, nearly 40 percent of the respondents who had a history of major depressive disorder described periods of hypomania that fall just under the radar for an official diagnosis of bipolar disorder, a condition called “subthreshold hypomania.” The authors say the criteria for bipolar disorder should be broadened, because some patients with subthreshold hypomania might benefit more from treatments for bipolar disorder than for depression. Although manic and depressive episodes usually alternate with each other, doctors now recognize that in some people, bipolar disorder appears as a mixture of the two states: mania and depression. For those with bipolar disorder, life can be a roller-coaster-ride of emotions and feelings. During these mixed episodes, a person can experience the elements of mania (such as high energy, physical restlessness, and impulsivity) at the same time as the symptoms of depression (such as intense sadness, guilt, or suicidal urges). Not only are mixed states more common than was once thought, they may be particularly dangerous because the person’s energy level is high enough for them to act on their negative thoughts, such as thoughts of self-harm. Understandably, swinging between such extremes in mood and behavior can severely disrupt a person’s life, work, and relationships. During manic or mixed episodes, the almost frantic energy level and impulsive, risky behaviors can overwhelm friends, family members, and coworkers, sometimes ending promising careers and marriages. During depressive episodes, a person may withdraw completely and spend days on end in bed. It’s common for people with bipolar disorder to abuse alcohol or drugs, perform poorly in school or work, and have relationship conflicts. Treatment with mood-stabilizing medication and therapy can help people with bipolar disorder lead a more balanced life. Such treatments can regulate moods and improve relationships. alcohol, anxiety, anxiety and pain, bipolar depression, bipolar depression symptoms, bipolar disorder, depression, depression anxiety, depression symptoms, depressive disorder, for depression, health, health news, how to stop depression, major depression, major depression symptoms, major depressive disorder, mood, natural remedy, natural remedy for depression, pain, psychotic depression, remedy for depression, sad, sleep, stop depression, symptoms of depression, symptoms of major depression, tired, university health news, what is bipolar disorder, what is psychotic depression.